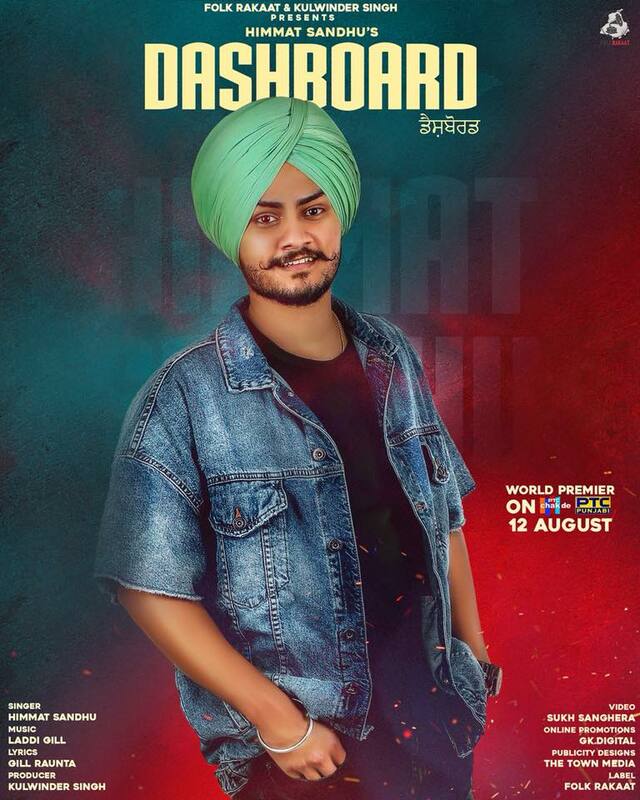 Folk Rakaat & Kulwinder Singh brings Himmat Sandhu's new song 'Dashboard'. Music of the song is composed by Laddi Gill and Dashboard lyrics are penned by Gill Raunta. Music video of the song is shot and directed by Sukh Sanghera. Himmat Sandhu is a melodious Punjabi Singer who got fame as a contestant of famous singing TV show Voice of Punjab Season 7. He made his debut with song Saab back in August 2017 with the same music producer and songwriter. He has recorded Sad Sale, Charche, Proud, Rayban - all single tracks in the past and recently 'Marzi De Faisle' for Punjabi movie Dakuaan Da Munda.